Was built on the foundations of great food and good old-fashioned family values; friendliness, teamwork, enthusiasm, reliability & a desire to serve others. Working in a restaurant is a great first job, and a stable stepping stone to your future. You will learn invaluable life and job skills as you enjoy a flexible schedule to accommodate your busy life. If you want to grow with us, we have plenty of opportunities within our company for advancement, and are always looking to promote from within. Opportunity is always on our menu. 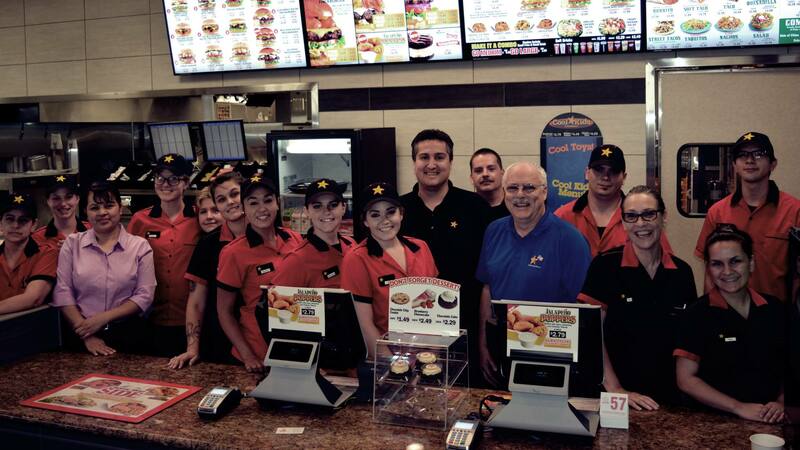 That’s why you can’t help but smile when you join the Carl's Jr. team. After all, you’re going places. Jump in and see just how far you can go. We are looking for hard-working, outgoing individuals who thrive in a fast-paced and fun environment. Working in a restaurant is a great first job, and a stable stepping stone to your future. 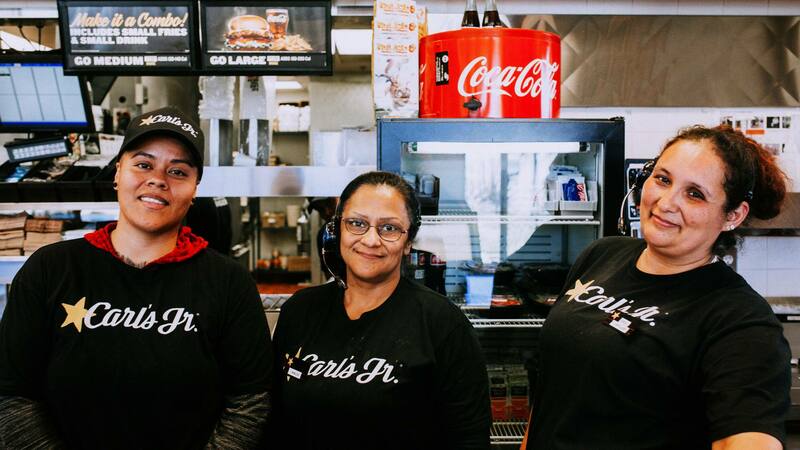 Why is Carl's Jr. a great place to work? Working in a restaurant is a great first job, and a stable stepping stone to your future! I enjoyed my job as i found it easy to adapt to and worked with an amazing team. I learned how to multitask here while remaining friendly and inviting to all customers. It was truly an amazing experience to work there. You meet so many new people every day. My co workers were very helpful towards one another. Everyone who work there was super friendly and nice. The job itself was very easy, along with the management being great. Working at a fast food restaurant helps you gain great customer service. Very friendly work place. I loved working there. I was around kind and generous people that made me feel wanted. Great experience! Good customer service and lot of opportunities...wonderful quality of service in and out of the company-- they are caring, presentable, and joyful. I worked for Carl's Jr. for a short amount of time, but it was the most that I learned from a job. They always made sure that their employees knew what they were doing, and if they didn't everyone was always more than willing to help out each other. Carls Jr. was my first fast food job, quick paced and fun. I learned many skills at this job such as micro management, cooking skills, multi tasking, customer service… you name it. This is a great environment to gain the skills needed for future positions.